Item # 309899 Stash Points: 1,195 (?) This is the number of points you get in The Zumiez Stash for purchasing this item. Stash points are redeemable for exclusive rewards only available to Zumiez Stash members. To redeem your points check out the rewards catalog on thestash.zumiez.com. 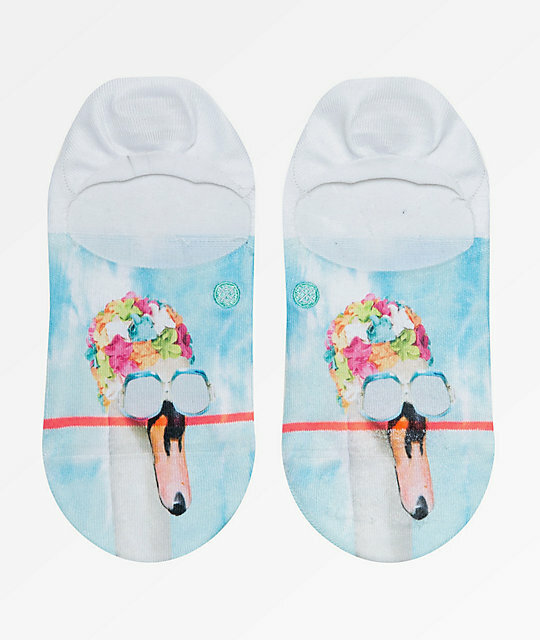 A blend of lighthearted fun and the brand's premium comfort, Stance presents their Svetlana Super Invisible 2.0 No Show Socks. Made with warm hues, a comical image of a duck wearing a pool cap, and plush arch support, the Svetlana offers tons of style and comfort. 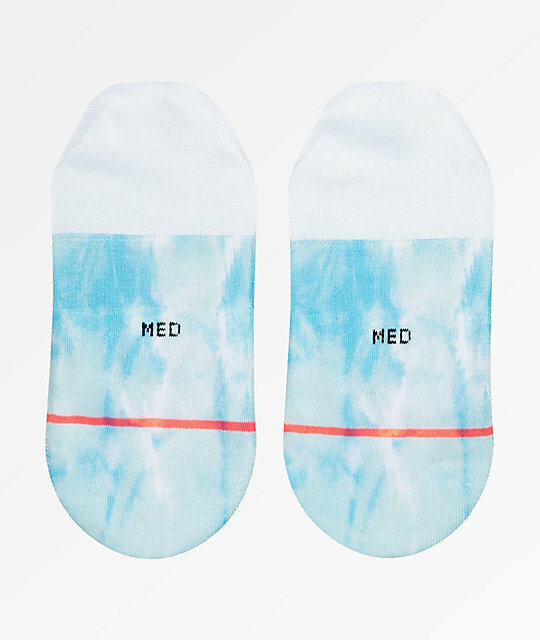 These socks are perfect for individuals who love low-profile shoes, flats and who never take things too seriously! 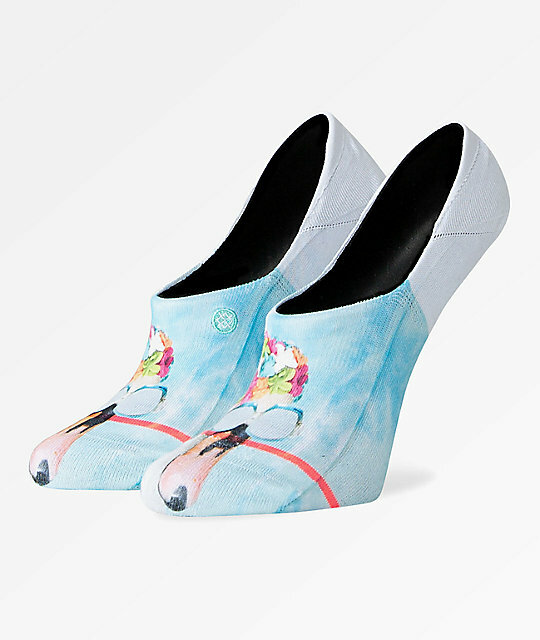 Svetlana Super Invisible 2.0 No Show Socks from Stance. Blue, white and pink colorway with jacquard knit graphic of a duck. Stance's Super Invisible 2.0 composition for an invisible height length.